Serving: Centerville, Dayton, Kettering, Oakwood and surrounding areas. We safely transformed this families backyard pool area and walkways for under $150! Let us improve the appeal of your home or business by safely removing years of stubborn dirt and airborne pollution from almost any surface! Accent your home with a clean sidewalk! 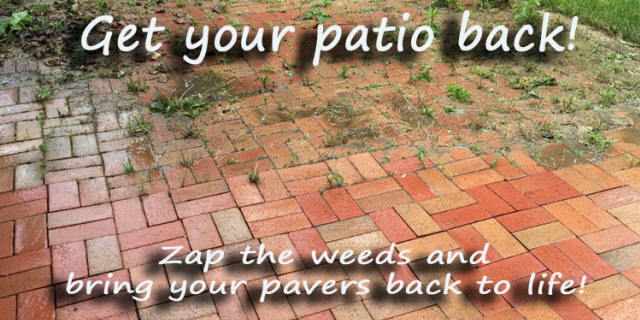 Our low cost, environmentally friendly Pressure Washing System is completely safe for your family, pets, and plants. Let the professionals at Zap it Clean show you the future of window cleaning now! Our Purified Water Brush System not only leaves windows spotless, it also helps prevent rain water from leaving unsightly streaks! Ask us how you can enjoy a longer lasting clear view of the world at a fraction of the cost of traditional window cleaning.